When you’re seeking Bronx moving storage in NYC, Moishe’s is the highest customer-rated service you’ll find. Moishe’s Self Storage and Moving has been serving the needs of the metro NY tri-state for over 30 years. We earn consistent 5-star ratings in every area of our service from our customers. Whether you need commercial or personal climate-controlled self storage near me, long distance or local Bronx moving and storage services, Moishe’s has you covered. We offer the most affordable rates on 24-hour self storage and moving services in NYC with standard climate control in all of our moving trucks. Moishe’s is unlike other city moving companies in that we’ll never make you deal with subcontractors or hired movers to assist. We are your only go-to company when seeking Bronx moving and storage. When you need a committed team to take care of the moving or storage job here for you in the city, call on Moishe’s. With nearly 40 years of trusted service, we are New York City’s quintessential, trusted moving and storage company. Moishe’s takes care of your moving needs from start to finish and we offer free pick up services in the Bronx for mini storage. All you need to do is call us and we will pick up your belongings in one of our climate-controlled trucks and store them for you, free, when you’re a new customer. Call (800) 536-6564 for your free Bronx pick up today. Moishe’s gets the job done better than any other moving and furniture storage company. If you don’t have time to be around or need assistance with your move into storage, we will pack your belongings, transport and load them into storage or your new location for you. Something that sets us apart from other Bronx moving and storage companies is our conscientious approach and expert care when handling your belongings. Our team of experienced NYC movers are proficient at maneuvering your heavy, bulky items like sofas and pianos through narrow hallways and down winding staircases. You never have to worry that Moishe’s relocation experts will hire out anyone else to help with your move, either. Our team of local movers have been doing this for decades and we are confident in our 100% customer satisfaction guarantee. Hollywood film crews have long identified Moishe’s red trucks with Bronx moving and storage services. Our Moishe’s logo is synonymous with the Big Apple. We have been featured on talk shows and represent a standard of excellent NYC service. We are the only Bronx moving and storage company in the city that utilizes climate control in the storage cargo of all our moving trucks. Not only for fine art and wine storage, climate control is important to preserving your products by not overheating or freezing. Moishe’s Bronx moving and storage is the city’s premium provider and industry leader for over 30 years. Our 100% customer satisfaction guarantee means our service oriented team will go above and beyond to ensure your Bronx moving and storage experience is the easiest and best decision in moving you’ve made. Feel free to reserve your move with us today, whether long distance or local. Or, if you only need self storage, we will pick up your items for free with a 3-month commitment, up to a 5×10’ space. Give us a call at Moishe’s in the Bronx Self Storage and Moving and experience the quality service that sets us apart as NYC’s premier moving and storage company for over 30 years. When you’re seeking Bronx moving and storage companies, Moishe’s is the highest rated customer service you’ll find. Moishe’s Self Storage and Moving has been the top provider of services for the metro NY tri-state area for over 30 years. We earn consistent 5-star ratings in every area of service from our customers. Whether you need personal or commercial self storage near me, long distance or local Bronx moving and storage companies, Moishe’s has you covered. We offer the most affordable rates on storage and comprehensive moving services in NYC with standard climate control in the cargo section of our moving trucks. Moishe’s is unlike other city moving companies in that you’ll never have to deal with subcontractors or hired movers to assist, when you use our services. We are your only go-to company when seeking Bronx moving and storage companies. When you need a committed team of relocation experts to take care of the moving or storage job for you in the city, call on Moishe’s. With nearly 40 years of trusted service to the NYC area, we are the city’s quintessential trusted moving and storage company. Moishe’s takes care of your moving needs from start to finish and we offer free pick up services in the Bronx for mini storage, up to a 5×10’ space, with a 3-month commitment to storage with us. All you need to do is call Moishe’s and we will pick up your belongings in one of our trucks and store them for you, free, when you’re a new customer. Call (800) 536-6564 for your free pick up in the Bronx today. Something that sets us apart from other Bronx moving and furniture storage companies is our conscientious approach and expert care in handling your belongings. Our team of experienced relocation experts are proficient at maneuvering your heavy, bulky items like sofas and pianos through narrow hallways and down winding staircases. Not only for fine art and wine storage, temperature control is important for preserving your products by not overheating or freezing them. Moishe’s is the city’s premium provider and industry leader of moving and self storage for over 30 years. What are reasons to use storage? For one, there are obvious perks for adding off-site space for storage when New York City living accommodations are so space-starved. Moishe’s Self Storage offers units at a variety of sizes to ensure you have the right amount of space for your belongings. Too many people waste money monthly on storage space they never end up using. Second, New York City boasts a number of colleges and universities. NYC being a national hub for education, many students don’t live in the area. Moishe’s Bronx Self Storage is the perfect solution for storing dorm room or apartment belongings during the summer when students live. Third, Moishe’s Self Storage is the perfect solution for storing belongings if you plan on leaving the country for an extended period of time. It is virtually guaranteed that a storage unit will be significantly cheaper than keeping an apartment to house your items. Moishe’s Self Storage features a variety of moving and storage specials to help make your move and storage journey less stressful. We know that moving and navigating your storage options can be a headache, which is why we strive to make your experience positive. If you refer a friend to store with us at our Bronx Self Storage location, you can receive up to a $50 credit towards your storage account. Referral must be done prior to room rental. For new accounts that are booking a stay of three months or more, we’ll gladly provide free pick up for a 5 X 10 room size within the NYC five boroughs. Or, commit to a six month stay and receive your seventh month for free. For new accounts only. Please note that customers are limited to one special, and no two specials can be combined. Store with the Best at Moishe’s Self Storage – you and your wallet will be glad you did! When your home or office is in the 5 boroughs, we also offer free pick up services, for up to a 5×10’ space with a 3-month commitment. Why rent trucks and move your items yourself into storage when our team of NYC experienced movers will do the job for you, for free? Call (800) 536-6564 to schedule your free pick up today. Come experience the Moishe’s difference. Feel free to schedule a consultation with one of our account managers today. With over 20 different unit sizes, as well as customizable storage space, you’re sure to find the perfect fit for all your storage needs with Moishe’s. When you’re seeking Bronx storage locations with the highest security features on the market, look no further than Moishe’s. As the city’s most trusted provider of storage for over 30 years, Moishe’s offers you our 100% customer satisfaction guarantee. Moishe’s offers greater service benefits and more security to our customers than any other provider of storage in the NY tri-state area. That’s why our customers stow with us for an average of 4 years, the highest in the nation. Be sure to consider what value you’re getting for your money before you decide on a storage provider. At other Bronx furniture storage locations, you’ll be paying for an access code to enter the building and given a unit with a rolling door. Your safety is ensured whenever you enter our Bronx storage locations. We utilize state-of-the-art burglar alarms, security checkpoints, motion detectors and the latest in fire suppression technology to ensure the safety of our customers and your possessions. What other Bronx storage locations will offer you that? Feel free to contact one of our account managers today. Or feel free to come into one of our five spacious locations and experience the Moishe’s difference for yourself today. With over 20 different storage unit sizes, including customizable options, you’re sure to find the perfect fit for all your storage needs at Moishe’s. Moishe’s Bronx Storage prices are the best because of what they include. The best way to store your property is safely, and in a manner that you can afford. Believe it or not, Moishe’s Self Storage is the only facility in the city that allow you to do both. We manage our facilities to qualities that have not been surpassed in the 30+ years that we’ve been a company. We know that there’s a time whenever you’ll need to store something and the other Bronx furniture storage prices you paid won’t include the option to enter your storage facility. This is unacceptable by Moishe’s Self Storage standards. Moishe’s Self Storage boasts a wide range of sizes so that you don’t end up paying for space you won’t use. Our units range from 5 X 5 ; 5 X 7 ; 5 X 10 ; 6 X 10 ; 8 x 10 ; 10 X 10 ; 10 X 12 ; 10 X 15 up to 10 x 20. The 10 X 10 units are large enough to store the contents of a one bedroom condo or apartment, and the 10 X 20 unit is large enough to store the contents of a three to four bedroom house. One amenity that sets us among the top is our spacious, customizable units. Our storage specialists have tackled the toughest storage situations and know how to customize a unit to fit your belongings. If that’s not enough to get you to click or call us today, there’s another aspect that you won’t find anywhere else in the city. 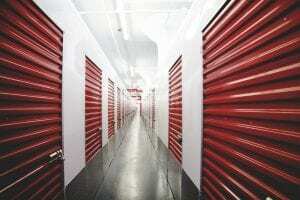 Stop worrying about finding Bronx storage prices and searching for self storage units near me. Moving and navigating storage options can be stressful, but it doesn’t have to be. Contact Moishe’s today! Our Bronx storage rooms have been consistently rated at five stars for more reasons than our affordable prices. The Moishe’s Bronx storage rooms experience is one that you can count on to be dependable and always maintained as it has been for the past forty years. We know that there’s no other option in the city for quality luxury storage at an affordable price. The reason that Moishe’s Bronx storage rooms stand so far above the competition is due to the hard work and dedication that was so integral to our rise as a company. When we started with just our founder and his truck, the only thing that secured work was dedication, respect, and quality. Those standards remain to this day. Don’t worry if you’re looking for Queens storage rooms instead of Bronx storage rooms. Every facility that Moishe’s manages is held to the same rigorous quality checks. We know that reliability is a major concern with furniture storage facilities throughout the city, so we made sure to make a storage facility that was the same high quality experience every single time. Moishe’s has done this by keeping every room monitored and maintained consistently. Our facilities include all of these (including insurance) at no extra cost to you. When you pick apart the value individually, Moishe’s Self Storage is dirt cheap. Curious about our Bronx storage rooms yourself? You’ll find storage advisors ready and willing to assist you with any Bronx storage rooms questions at our facility. You’ll find our storage advisors at (800) 536-6564 as well as through our contact form. If you’re already sure you know what you need then reserve your Bronx storage rooms here. End your search today for self storage near me, and start renting with Moishe’s Self Storage. When you’re seeking the best Bronx storage units, look no further than Moishe’s. We are New York City’s industry leader in self storage for over 30 years running. At Moishe’s, we offer the cleanest, most secure rooms for affordable rates in the Bronx and the surrounding NY tri-state area. What makes Moishe’s unique? Our account managers are available to assist you with anything you might need from 7AM-7PM during the weekdays and 8AM-5PM on the weekends. We also utilize closed circuit TV recording, security checkpoints, motion detectors, fire suppression systems and state-of-the-art burglar alarms. 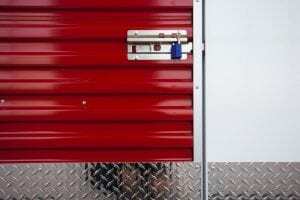 We trust that no other Bronx storage units will offer you the complete theft protection services we provide. Feel free to schedule a consultation today with one of our account managers to view the different units we have available. With over 20 sizes to choose from, you’re guaranteed to find the perfect fit for all your storage needs with Moishe’s Self Storage places.